I wore what I always wear when I'm not sure what to wear. Clean, simple lines and heels. You can't go wrong. But back to the task at hand...what did I see on my evening out? Well, lots more than the show itself as I had a great time chatting to the suppliers that had set up on the foyer. 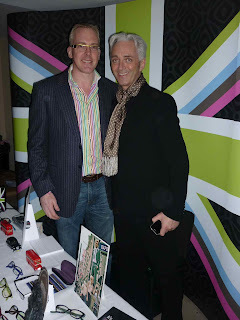 After I hauled myself away from The Sugar Room's cupcake stand, I stopped to chat to Belfast Fashion Week's official eyewear partner, William Morris London. Robert got me to try on lots of their trendy frames and introduced me to Jonathan Keys, the local stockist of his range. There then followed a rambling conversation about how far back in the Keys family tree Jonathan and I are related. I'll not bore you with the details! 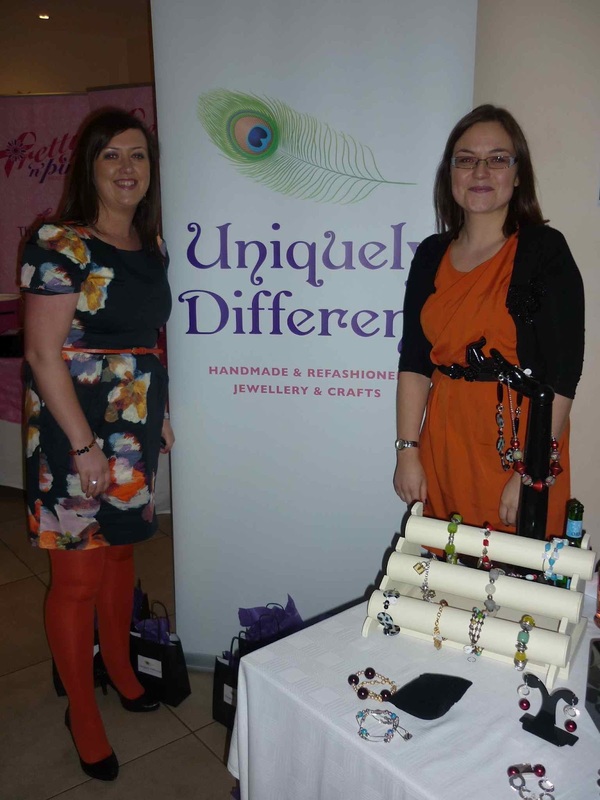 Next, I spoke to Karen and Claire from Uniquely Different, a local company that hand makes fabulous jewellery. The girls told me they make only one of each piece (hence the name) and also provide a bespoke service, children's jewellery making parties and evening jewellery events in your own home. Finally, just before the lights went down, I had a quick chat with Grainne Maskey, who is an Independent Stylist for the celebrities' favourite, Stella & Dot jewellery. Grainne was so excited to have some of her pieces on the catwalk later on - and I can confirm they were gorgeous, especially this Medina Bib Necklace. OK, so being really practical, I can't see myself wearing much of this on the school run but it has inspired me to get some more colour out - I'm sure we are going to have an amazing summer this year! I second that , you look amazing. V chic! your dress is beautiful Avril. I've never seen anything that elegant in River Island. you have a great eye.